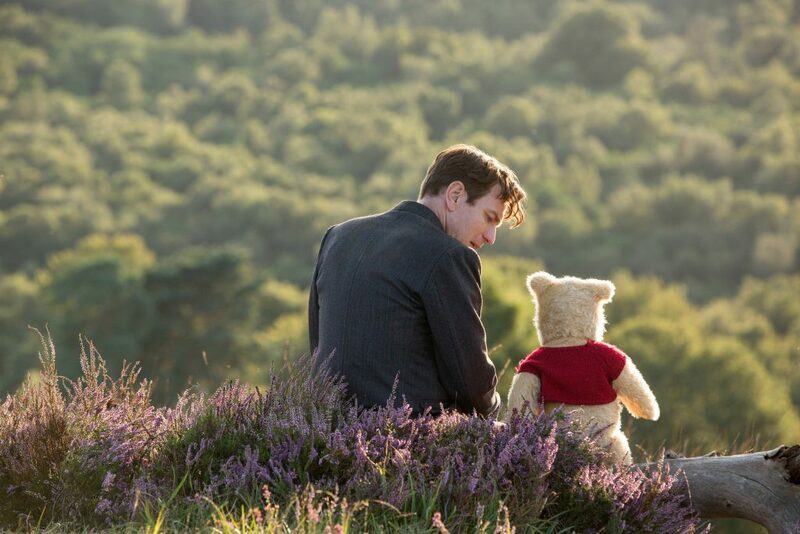 Old Friends: Ewan McGregor, as Christopher RObin, shares a scene with Winnie the Pooh in the live-actions adventure movie Christopher Robin. CHRISTOPHER ROBIN: Starring Ewan McGregor, HAylet Atwell, Brad Garrett, Peter Capaldi, Toby Jones, Chris O’Dowd. Directed by mark Forster. Rated PG. Running time: 104 minutes. AN “adult” film illustrated by child-like figures, Christopher Robin is fairly straight-forward in its messages but substantial nonetheless, especially for those who may have forgotten the simplest truths amidst life’s hustle and bustle. It all started with A.A. Milne’s book Winnie the Poo (1926), a children’s tale which focuses on the adventures of a honey-loving bear and his friends. Among the lot is Christopher Robin, a character based on Milne’s son, the only human being that acts mostly a supporting character in the books and much-loved cartoon series. This time, the young English boy takes centre stage as the opening sequence takes us to his farewell party before the growing boy heads to a boarding school in London. Ironically enough, one of the phrases thrown in by one of his innocent animated friends is “Christopher Robin is leaving his childhood”. What ensues is a final goodbye and fast sequence of the young man’s journey – finishing up school, meeting the love of his life, heading off to the army, having a child and getting a stable job albeit all things expected to happen in the life of an ordinary person. As any good father does, he prioritises his work to make sure that he can provide for his family. Unfortunately, even with the right intentions, Christopher tends to choose business over spending time with his wife and his lovely daughter, a pattern that now makes him rigid and his family miserable. With a key project at his luggage-making company set to decide the fate of his co-workers, it’s up to the hard-working father to come up with a solution but at what cost? Enter Poo and his innocent, adventurous and simple-minded friends who find a way to get to Christopher in busy London as they also deal with a major threat in the Hundred Acre Wood who has always been a place of solace thanks to Christopher’s help. The reunion throws off Christopher, but will he come to the rescue? And can Poo, Piglet, Eeyore and Tigger help his re-discover his inner child? Marc Forster, who was also on the director’s chair for World War Z, Finding Neverland, Quantum of Solace, sets quite a mellow, melancholic and slightly gloomy tone which is indicative as to what thematic direction the film is taking. Although it doesn’t dive into deep adult issues, it’s obvious from the get-go that the target audience isn’t children, a faux pas in the film’s promotion. Even some of the silly sayings from Poo and his friends such as “Doing nothing often leads to the very best kind of something” have some sort of disguised wisdom within them. Therefore, this feature’s main aim is to capture the attention of parents who probably grew up with Winnie the Poo and can better grapple with its messages. Visually, Poo and his lot lack the vibrant colours that were present in the old cartoons but their small eyes and squishy faces manage to wear a lot of emotion. The mix of humans and animated characters is a smooth transition especially when Christopher is rushing Poo around the streets of London, a scene that is reminiscent of Paddington Bear. No matter where you find yourself in your adult life, Christopher Robin serves up some timely reminders about the important things in life, that sometimes it is worth stopping and doing nothing. It also speaks a lot into the value of family and cherishing your loved ones. Running at a brisk 104 minutes, Christopher Robin is engaging, emotional and rather charming at times.